We apologize for the inconvenience that Restored Balance is unavailable. 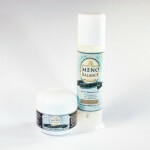 The makers of Restored Balance Cream have stopped selling this cream, for reasons we do not know. Our products PMS Balance and MenoBalance have the same formula and ingredients; same manufacturer but different company distributing for them. The progesterone used in these restored balance products is bio-identical to what is produced naturally in the body when the body is able. Bio-identical hormone creams are just like your own. As with all claims it is advised that you consult your family physician for him/her to prescribe correct amounts according to your condition. We apologize for the inconvenience that Restored Balance is unavailable. The makers of Restored Balance Cream have stopped selling this cream, for reasons we do not know. We purchased this domain when their company was not to be found and there was still a market for the product. We ARE NOT the Restored Balance Online Co and have no connection except to the original formula.